Product #16312 | SKU ECM673 | 0.0 (no ratings yet) Thanks for your rating! 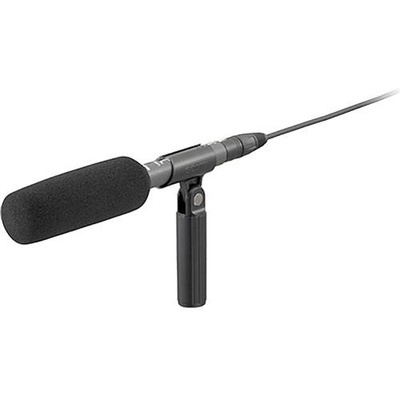 The Sony ECM-673/9X is a low cost, electret condenser shotgun microphone designed for maximum frontal pick up while minimising off-axis (side) signal and noise. The wide frequency response and excellent sensitivity deliver superb sound for interviews, field audio and more. The ECM-673/9X features a low-cut filter switch for minimising low frequency response and proximity effect. The ECM-673/9X is light weight and ideal for camera, boom and stand mounting.